VTech has a new line of 2016 baby, infant, preschool, and toddler toys arriving exclusive to Toys "R" Us store shelves this spring. 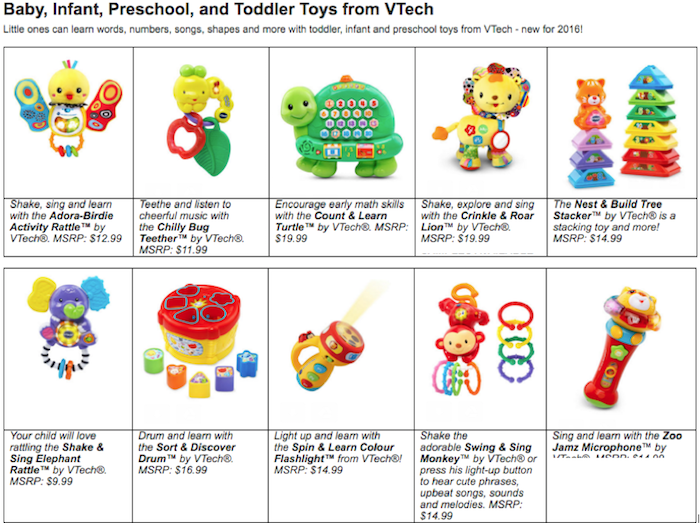 These fun and educational VTech toys teach children vocabulary, sorting, and more. Toys such as the Crinkle & Roar Lion will teach children shapes, colours, letters as they shake the lion and activate the motion sensor. This take along toy has over 50 songs, melodies, sounds, and phrases. Zoo Jamz is a voice amplifying Microphone that teaches children about instruments, and the sounds it makes. 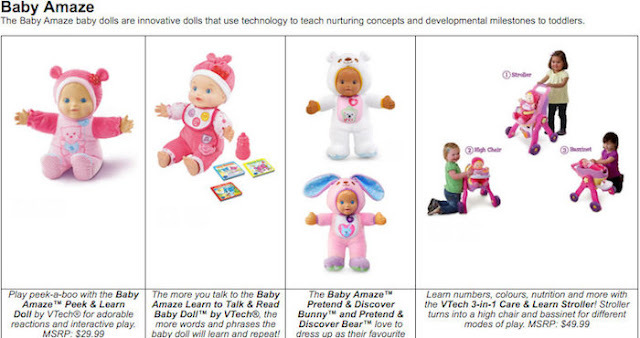 Baby Amaze has a selection of learning dolls that says phrases, sounds, music, and more. I just had a baby shower and received the Shake & Sing Elephant! My little one is going to love it! Great gift ideas for the little ones!! These are some great ideas. I find I am always stuck trying to come up with different ideas instead of the usual baby clothes etc. Something for as they grow is awesome! What great gift ideas! I love that toys can be both fun and educational. Cute little things. Good to know!